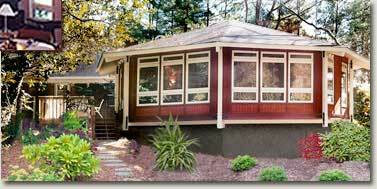 For decades Topsider Homes has designed and shipped high quality custom prefab home additions. 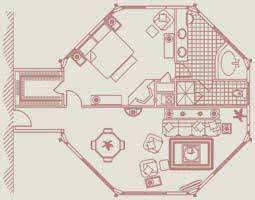 And in today's economy, more than ever before, adding a room addition to your home is often the best alternative for creating new and needed space, without the hassle of trying to sell your existing home, buy or build a new one, and then relocate. Topsider Homes' unique panelized post and beam building system allows our home additions to be designed with nearly unlimited floor plan flexibility. We can provide two-story room additions, with a master bedroom suite above and a family room below, or a simple one level open living space or media room. And because many home additions must be added onto sloping terrain on the side or back of the existing structure, our unique ability to design for any type of foundation can make a big difference. 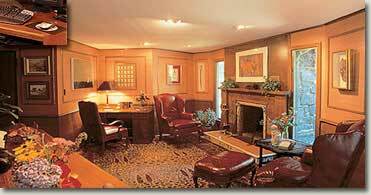 We can build room additions on pilings, pedestals, slabs, crawl-spaces and even basements. Whether simply adding living area with a bedroom and bath, or a luxurious master bedroom suite, family room or home office, Topsider's experienced and skilled in-house design team will work closely with you to create the ideal space for your needs and budget. Topsider's experienced in-house architectural and interior designers can quickly turn your vision into a workable home addition plan. This home addition added 1,000 sq. 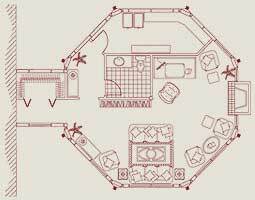 ft. of space, including a master bedroom suite. 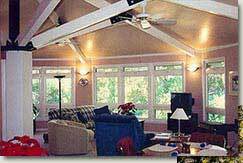 Each home and room addition is custom designed and prefabricated for quick and easy assembly. 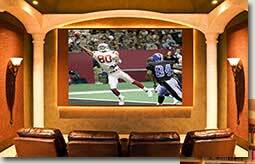 Never before have we enjoyed so much access to home entertainment. Hundreds of cable channels, nonstop, high definition sports and videos, DVDs, Blu-ray discs, wireless online access, interactive video games, interactive children's activities... the list goes on and on, and it seems there's always something new to add. The biggest challenge seems to be where to put it all. Topsider Homes has the perfect solution to keep up with these new activities and technologies. 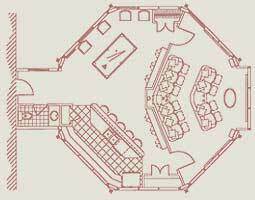 Flexible in design and capable of blending aesthetically with virtually any home style, a Topsider family room addition, recreation room, media room or home theater can be designed specifically around your favorite activities. Our post and beam prefab home additions are carefully designed and crafted to add value to you life and your home. Topsider Homes' unique and flexible building system will allow you to create a home addition that your entire family will use and enjoy. Whether a family room addition, recreation room addition, home theater or media room addition, the possibilities are unlimited. Our prefab home additions blend seamlessly with conventional architecture and will enhance your home's value. 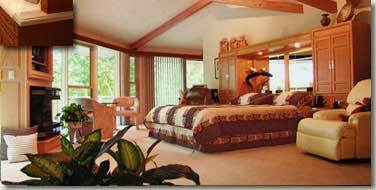 Adding a luxurious master bedroom addition to your home can be one of the best ways to increase your home's value. More than just added space, a custom-designed master bedroom suite is both a sanctuary and one of the two major areas that future buyers will value most when it's time to sell. We offer many online ideas, but ultimately, your design will be created to meet your preferences and special needs. Topsider Homes also provides its clients with the services of our Design Center staff of highly skilled and experienced interior designers who will help you choose the perfect color scheme, flooring, hardware and fixtures for your custom bathroom. From the latest in soaking tubs and designer tiles to surround showers and saunas, Topsider Homes' master bedroom additions are an investment in your home... and in your life. Add the extra room you need and the luxurious living you deserve with a Topsider master bedroom addition. Few home improvements add more value and liveability than a spectacular master bedroom suite. Topsider's architectural and interior design staff will work closely with you to create the perfect master bedroom addition. It wasn't long ago that most home offices consisted of a desk, lamp, calculator and some pencils. Not today. With telecommuting and current technologies, the need for well-thought-out, private, functional office space is more important than ever. 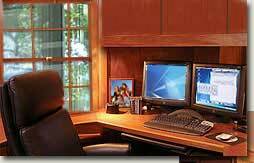 Topsider Homes' design staff can help you create the perfect home office addition to fit your business and personal needs. And our panelized post and beam construction building system allows for a quick and easy build. Perhaps your business or your passion is art. 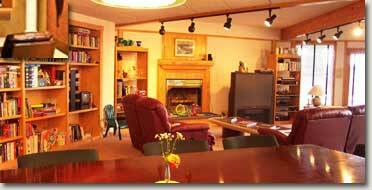 Our designs lend themselves perfectly for home additions of all types, including art studios. With no load-bearing walls, the possibilities for your design needs are limited only by your imagination. Topsider's prefab building system makes it easy to design the perfect home office addition, combining form and function to create the ideal work space. Topsider's approach permits home additions that can be built on any foundation from slabs to pilings and even over basements. We have online plans for family room additions, master bedroom additions, office additions and much more. If you are considering a home addition, we will provide concepts and ideas to get the ball rolling, and free cost estimates so that you can make an informed decision. And once your project begins, we will custom design your addition, provide builder recruitment and preferred lender financing as part of our services package. Topsider's prefabricated post and beam building system is ideal for your home addition project. We offer online plans for ideas, but ultimately whether a simple room addition, home office, master bedroom addition or an open family room, each home addition from Topsider is custom designed. View our online home addition plans for ideas, then ask for a No-Obligation Free Cost Estimate. Our unique prefab home additions can be easily and quickly constructed by local home builders or qualified do-it-yourselfers. And our in-house services include architectural and interior design, builder recruitment and assistance with the permitting process. Whether you're adding to a large or small home, our prefab post & beam building system allows maximum design flexibility. You can build one or two levels, and it can be over a basement, on a pedestal, on pilings, slab or crawl-space. 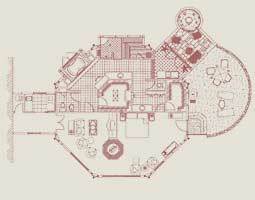 Our in-house design staff will match your needs with the perfect floor plan concept. The first step towards beginning your new home addition is to contact one of our Customer Service Representatives. In a single conversation we can focus in on a concept and prepare a No-Obligation Free Cost Estimate tailored to your specific home addition project and location.